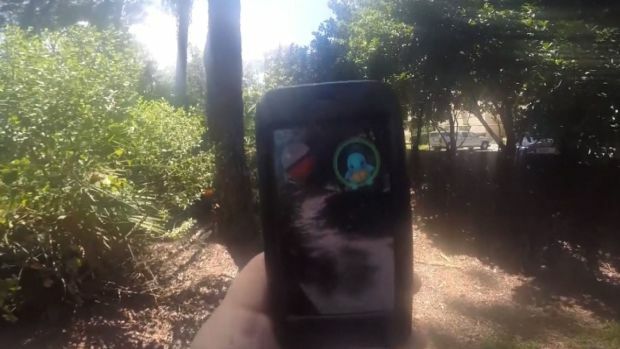 Police in Manchester, New Hampshire, have arrested two men accused of robbing a Pokemon GO player at knifepoint early Wednesday morning. The robbery happened around 2 a.m. on the bicycle path behind 375 Willow St.
Police say the victim, a 24-year-old man, was accosted by Raymond Lavigne, 29, and Michael Drake, 26, and tried to get away. Drake allegedly pulled out a knife, pressed it to the victim’s throat and demanded his cell phone and wallet, which he ultimately gave up. The victim fled to a local business and called police, who responded to the bike path. Police initially found the suspects, but they fled. Drake was later tracked down and taken into custody. He had a knife on him at the time. He was charged with Armed Robbery and Resisting Arrest/Detention. Lavigne was found on Mitchell Street and was taken into custody as well. He was charged with Armed Robbery, Resisting Arrest/Detention and Falsifying Physical Evidence for throwing away the phone before the arrest. Both men are set to be arraigned Wednesday.